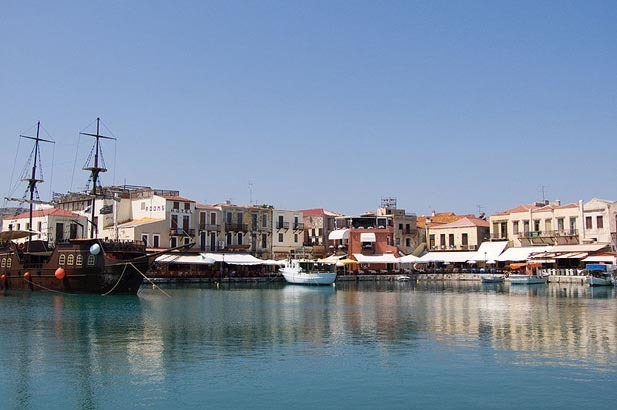 Crete is many things – the southernmost tip of Europe, the fifth largest island in the Mediterranean, the last part of Greece to throw off the Ottoman yoke. It has been fought over by Arabs, pirates, the Romans, Venetians and Ottomans, and housed the most valiant resistance fighters in the war. It’s the birthplace of Zeus, the home of the Erotocritos – the greatest Greek epic poem since the Odyssey – of Europe’s most ancient script and oldest civilisation, and boasts the longest living people in Europe. It’s the island of King Minos and the palace of Knossos, the island of bull-dancing, double headed axes and labyrinths, of Daedelus and Icarus, of Theseus and the Minotaur. 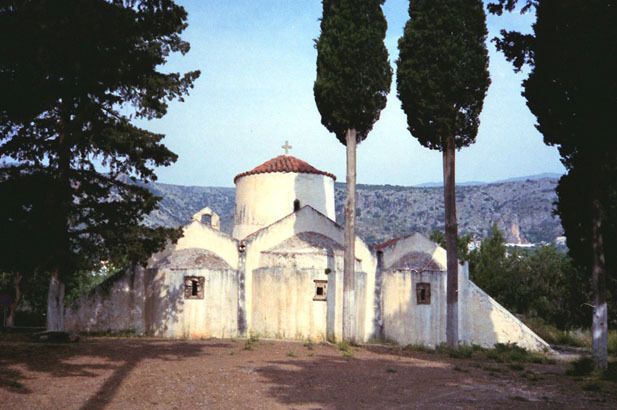 A treasure chest of folklore and heritage, Crete houses Byzantine monasteries and Minoan tombs, El Greco and the Cretan School of Icon painting, (as the last corner of Christianity at the time the rest of the Byzantine Empire had fallen to the muslim Turks, the last icon painters all gathered here – fleeing north to the Ionian islands and thence, like El Greco, to Venice once Crete fell too). 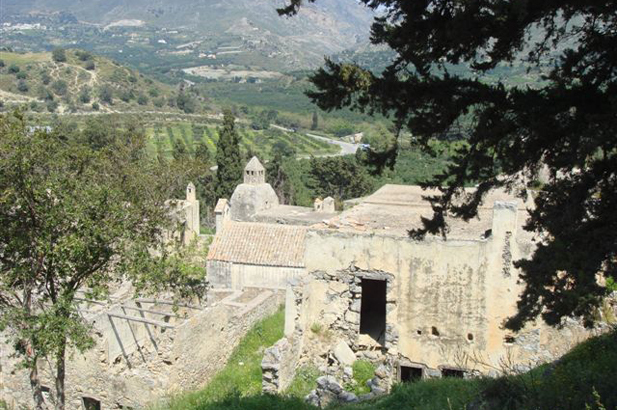 Theodorakis, Kazantzakis and Zorba are Cretan (as are most Greeks whose name end with -akis), so are the villages where women still wear the black headscarves and long skirts of past times, where farming continues as it has done for a thousand years. 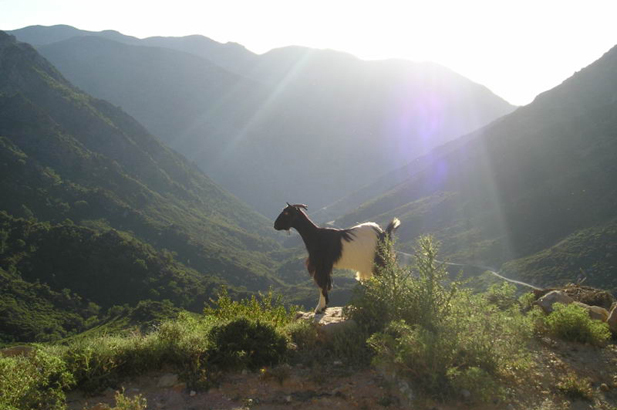 Crete is special, a treasure chest of heritage and the past. 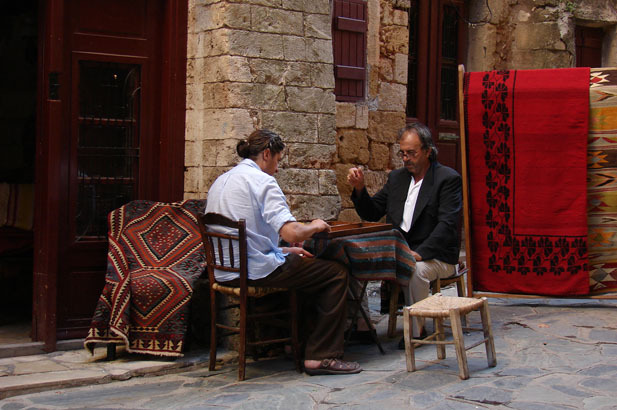 Conscious of its separate identity, dialect, diet, customs and history, in Crete, mass tourism co-exists with traditions that have long since died out elsewhere. 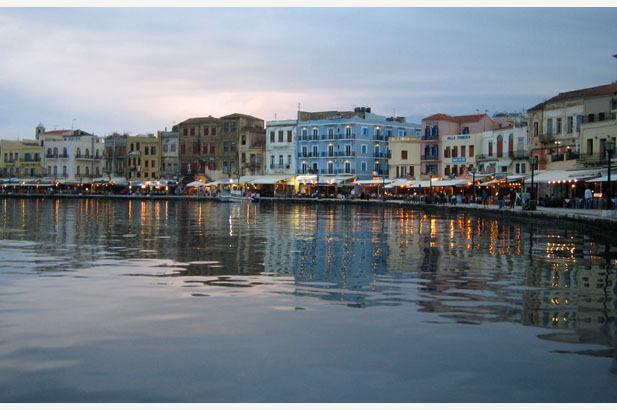 Crete not only has almost 5,000 years of history, but is also a country in itself. It takes over six hours to drive from one end to the other, so this is more a snapshot of the Gulf of Mirabello and the area where our villa is than a general guide – for a real guide to Crete, a guide book is essential. 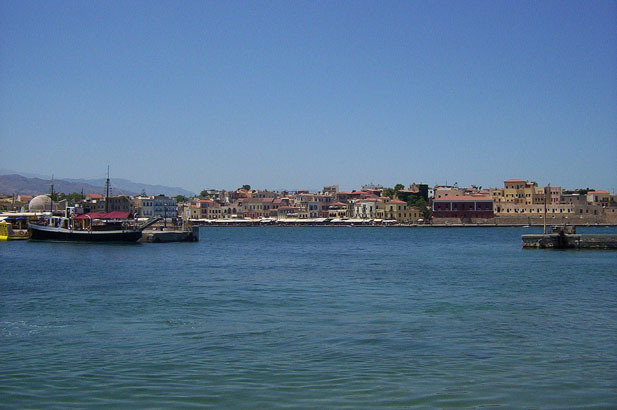 Pretty Venetian Rethymnon, the Gorge of Samaria, the town of Chania, the White Mountains are all really worth exploring, but are not day trips from The Elounda area. 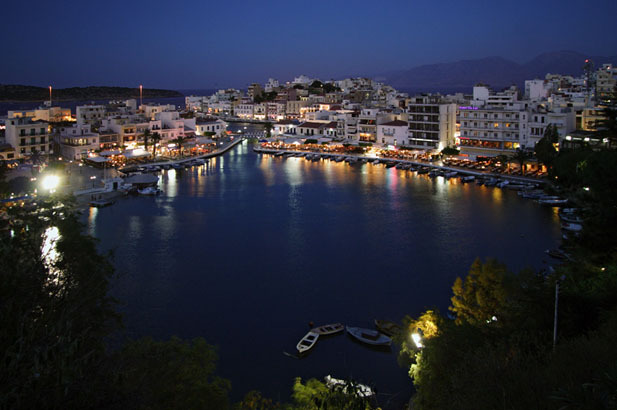 Unspoiled mountain villages, hospitable and proud Cretans, a wealth of historical monuments and sites of interest, great scenery, easy combination with Santorini and Mykonos. Lack of atmosphere and depressing buildings in almost all coastal areas, long drives and large distances between sights, package tour invasion of most of the beaches and the accompanying tat. 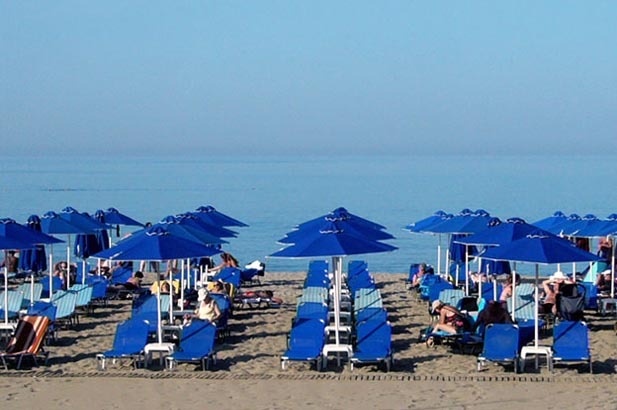 Those who get bored on beaches and need lots to do, who want to explore an island rich in culture and heritage, those wanting five-star hotels and their spas and restaurants nearby, historians, art-historians, foodies - the local food can be delicious and the hotel restaurants are very good indeed. Ideal for those wanting to see the major sights of Greece before heading off to smaller, picturesque, more typically Greek islands. Those looking for a small island that they can adopt as their own, with tiny gem-like fishing villages, hip island chic, pretty pebble coves and secluded sandy beaches, or those in search of the quintessential Greek island experience. 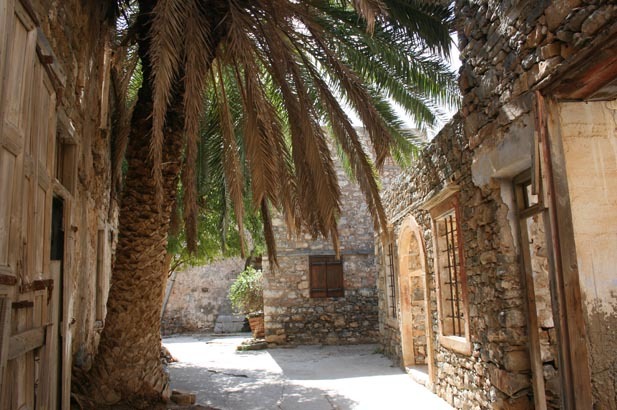 Spinalonga - Crete's tragic leper island, and more of Joanna Lumley! For centuries it was an inland fortress, then a leper colony in the first half of the 20th century. A beautiful and moving experience. 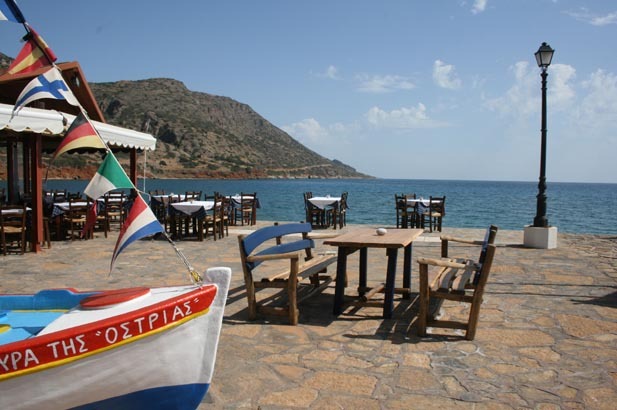 Take a swim in the startling blue waters off the island, and then have lunch on the beach at Ostria (try the giant Cretan snails - in season till the first of the autumn rains) or at Giorgos Taverna, in the pretty village of Plaka from where boats leave to Spinalonga. 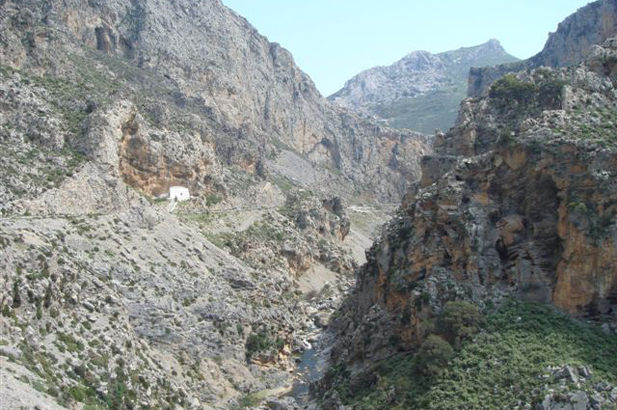 Take a leisurely and panoramic drive up the mountains to the charming villages of the Lassithi Plateau, and Zeus' birthplace; the Diktean Cave. 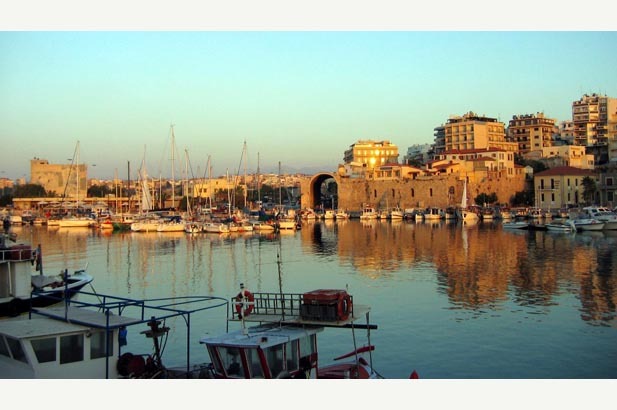 The picturesque and once elegant fishing port with its lively waterfront. 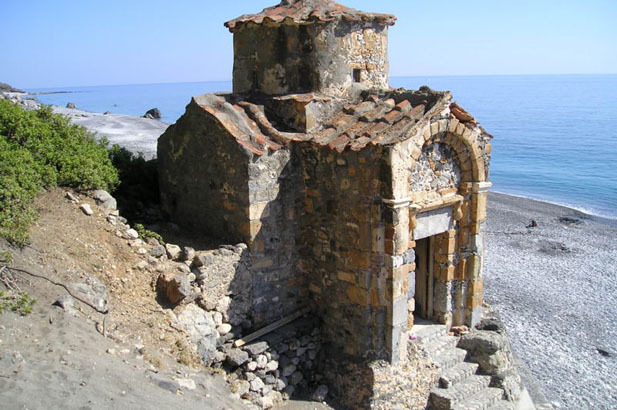 The birthplace of Vincenzo Kornaros, the 17th century author of the famous Cretan ballad - the Erotokritos - you may still hear folk singers today performing bits of it. A Venetian fortress still remains. 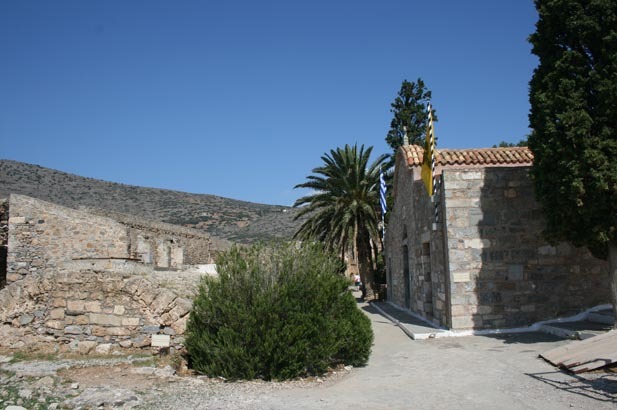 The Monastery of Toplou and the Minoan remains of Zakros are nearby too. A great short walk through mountains to the Milatos Cave and in the village some lovely fish restaurants on the sea where you can also swim. 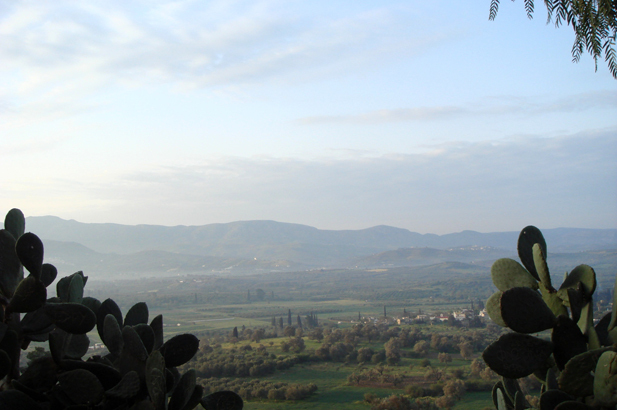 The important archaeological site of the Palace of Malia is en route. 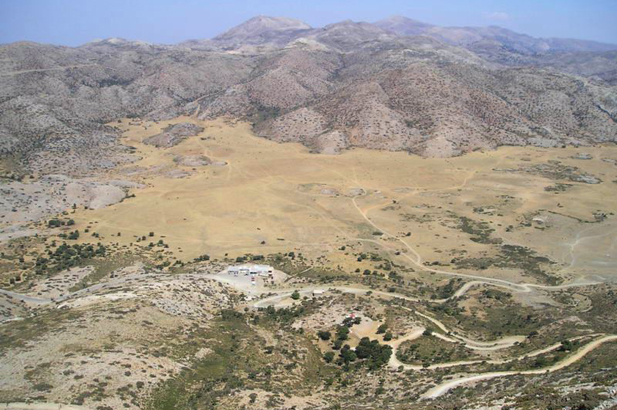 On the way to Sitia is a famous Minoan site. 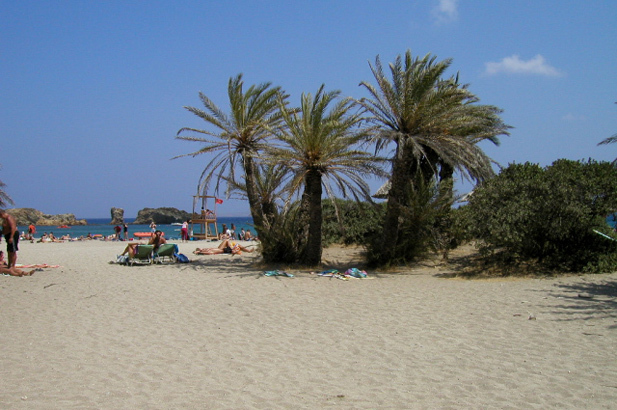 As they close at 3pm it's best to go at midday and then carry on the same road for a few minutes to Pachia Ammos for lunch. 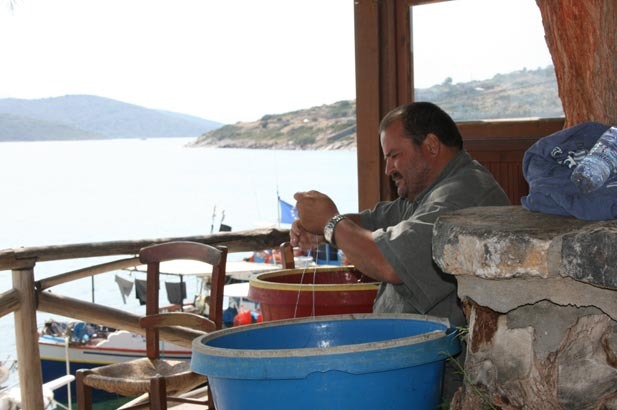 If you are happy to drive an extra half hour on the same road to Sitia, go to lunch in Mochlos (sometimes spelled Mohos) which is a cute village with a variety of very good tavernas overlooking the charming fishing harbour. 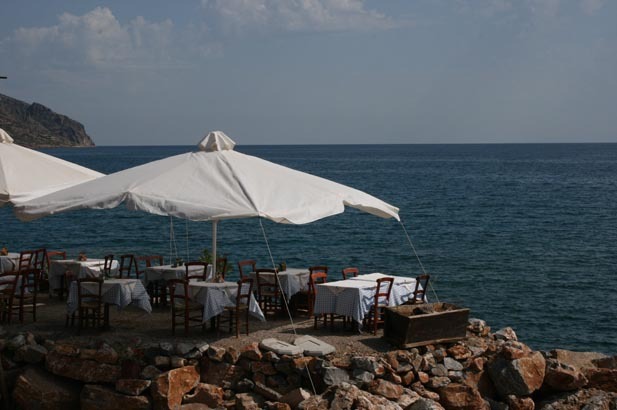 Try Taverna Bogazi run by Manolis and Gabby which is on the far left when facing the sea or the taverna next to it - both have very good food. 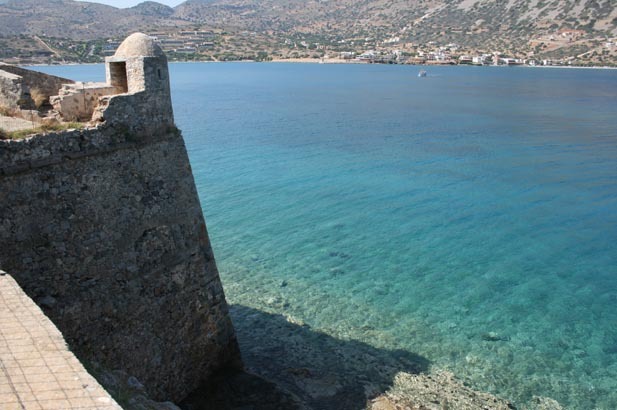 Lato is the closest antiquity to Elounda. The lovely ruins of the important Dorian town by that name date from 1000 years or so BC and the mountain and sea views are spectacular. En route there is both the church of Panagia Kera with magnificent old frescoes and across the street a very good Greek restaurant called Paradise. You can take in both sights in a morning (or spend more time at just one, both close at 3pm) and stop for lunch at the tavern. Reading the Minoan novels of Mary Renault, The King Must Die and The Bull From The Sea -someone please reprint! 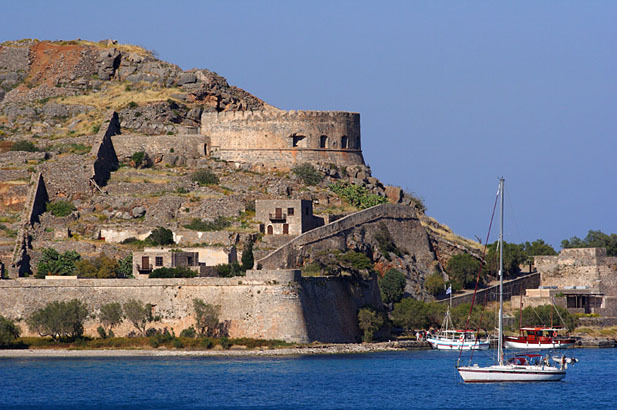 More recently, Victoria Hislop's The Island is set in Spinalonga. 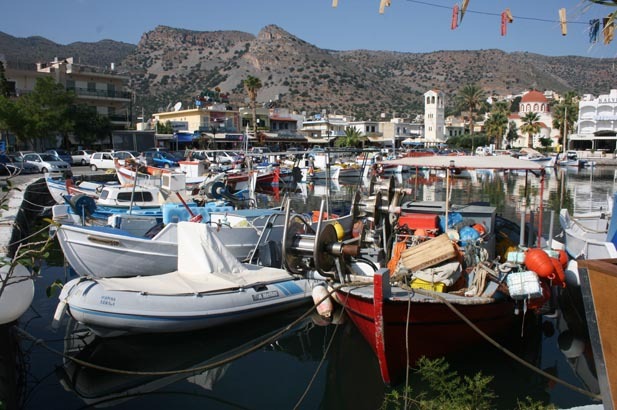 Water sports in Plaka and Elounda (jetskis, kite-surfing), boat hire for trips to Spinalonga and visiting other beaches, a nine-hole par 3 golf course (Porto Elounda Golf Club), horse-riding. 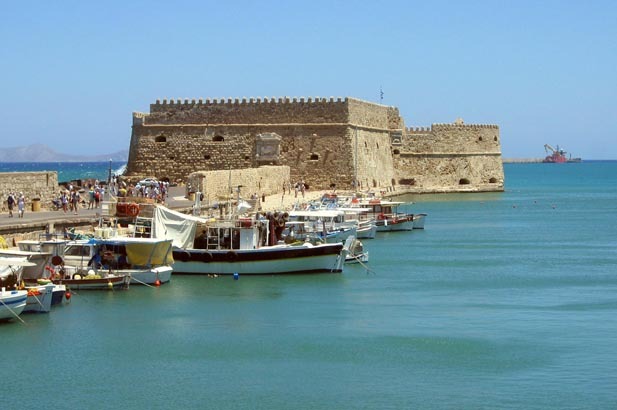 Twenty per cent of all charter flights to Greece pass through Heraklion airport which could probably deal comfortably with about two per cent! Take a valium, arrive late at the airport and leave it to the harassed check-in girls to get you to the gate in time. Even better, ask us to arrange a private jet. 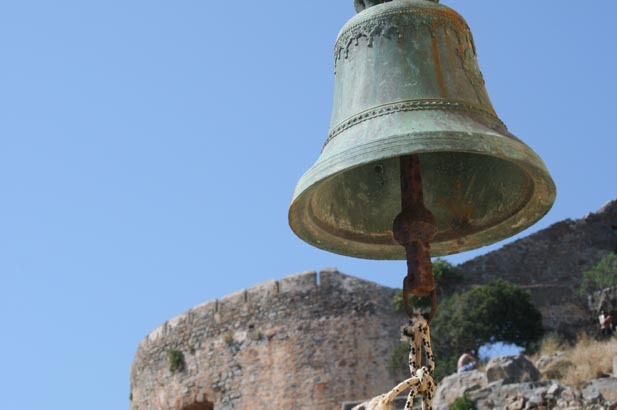 Knossos and Spinalonga are major tourist attractions, expect crowds in August. Avoid Malia! 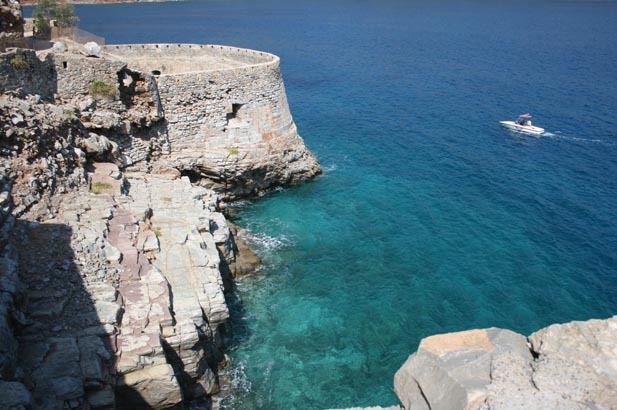 If you can't face the airport, there are high-speed hydrofoils that link Crete, Santorini, Mykonos and Paros. Seas stay warmer, skies clearer and sun hotter here for longer than the rest of Greece - for late or early sun from October to April, this is the best bet. Snow may cap the mountains but there are wonderful flowers - 1,500 types indigenous to the island - birds and walks. 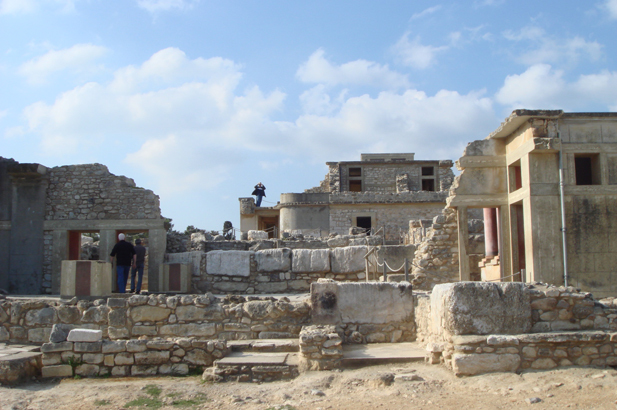 This is the time to visit Knossos and the Diktean Cave.